We want to keep you well informed regarding the progress of Florence, Colorado’s Rialto Theater. Lots of exciting things have happened since our last newsletter! A check for $200 was presented by board member Donna Murphy from the sale of a painting by Suzanne Phipps. Suzanne was instrumental in making a ton of progress on the theater renovation project, and in particular with infrastructure. The Rialto Theater and the Florence Chamber of Commerce teamed up to host the New Year’s Eve Fundraising Dinner. The two organizations shared the proceeds from the event. Grant writer and friend of the Rialto Theater, Beth Lenz, helped to write a grant for $4,000, to go toward grinding, patching, sanding, painting and refinishing the main theater floor. We have just been gien news that we have been awarded this grant from the Robert Hoag Rawlings Foundation! Thank you Beth and Robert Hoag Rawlings Foundation! A December Holiday Fundraiser is being planned. It will be a grand party at Larry and Beryl Baker’s residence. Stay tuned for details! As stated above, work will begin soon on restoration of the main theater floor. The main hallway baseboards and concessions window trim were completed. baseboards and trim were installed in the concessions area, and painting of the entryway and hallway to the restrooms, plus drywall and installation of light sconces was completed. Preliminary work on the development of the space below the stage, also called “The Green Room” has begun. This area will be used by our actors for make-up and costume preparation and costume changes. We added phone and internet services for the first time since the Rialto Theater was closed more than 20 years ago! This allows us to better communicate with our theater-goers and also allows us to now accept Visa, MasterCard, American Express, Discover, JCB and Union Pay. Two exterior display cases have been installed on the front facade of the theater to inform our community members about upcoming shows and events. Two exterior display cases have been installed on the front façade of the theater to inform our community members about upcoming shows and events. Rialto’s Play Committee created a “Play Selection Information Process” that helps to better define methods of play selection and development. “New Director Guidelines” were also developed to ensure quality theatrical performances supported by our theater. 100 cushioned, locking chairs for the theater were purchased and donated by Rich and Marty Burleson and Steve and Lisa Steele. Our audiences love this more comfortable seating!! Larry and Beryl Baker recently donated a painting of the Rialto Theater by local artist Coleen Bobinac. Thanks so much! Rialto Board members attended an alcohol Server Training Class for all those who serve alcoholic beverages in our Concessions area. The Rialto Theater Board of Directors has been diligently workiing on the Rialto Business PLan update. The plan will really help leadership manage present and future theater business. Rialto Theater’s Board of Directors donates thousands of hours of labor each year, with a goal of completing the theater renovation and putting on successful live events for Florence, Canon City, Penrose and all of Fremont County. We now have two official board advisors. Beryl Baker provides feedback on projects and events, and Lisa Steele assists with our advertising and marketing needs. We also want to give a big “shout out” for Deb Morton who generously takes care of the Rialto Theater website! Thank you Beryl, Lisa and Deb! A concert performance by musician James Divine was held in September. The Rialto Theater participated in Florence’s annual Junktique event, hosting a dozen vendors for two days. The Rialto Theater and its board hosted a September Business after Hours in conjunction with the Florence Chamber of Commerce. 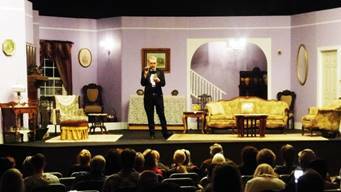 “Vintage Hitchcock”, a live radio play, was performed over 6 nights in fall, 2018. The Pioneer Royalty Coronation was held in September along with music by Jim Bosse. A memorial concert by Sons and Brothers and The Atomic Fireballs was held in tribute to Fred Wolking. The concert was a benefit for Sangre de Christo Hospice. The Rialto Players participated in the Penrose Apple Day Parade and received a third place ribbon! Local group The Ben Younger Band performed country music for an audience in December. 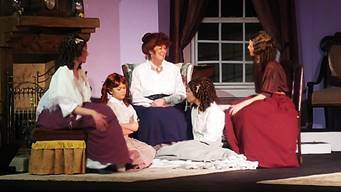 Six performances of the play “Little Women” took place in February of 2019. 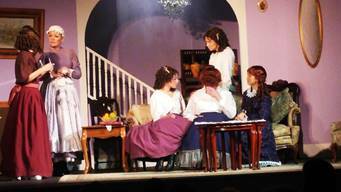 It was very well received by our audiences, and the local talent in the show was superb! The Humane Society’s Dog Fashion Show will be held on April 13, 2019. Michelle Hyatt will be director of “Fremont County has Talent II”. This year we will have two nights with different talent acts each night! Show dates are Friday and Saturday nights, April 19 and 20. The Colorado Country Music Association will be using the Rialto Theater on June 28, 29, and 30, in a search of new talent from southern Colorado! Pueblo Community College’s Senior Mini College has invited the Rialto Theater to present a class about the theater. Rich Burleson will be the presenter, and R.C. Wilkins and Tom Mongan will then give class participants a tour of the theater. The Board of Directors has decided to create a children’s theater troupe, the “Rialto Junior Players”. Michelle Hyatt will direct this exciting effort! 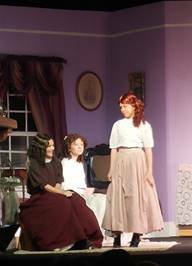 The family of Fifi Dye-Parks has donated her can-can dress from the Red Brick Players, a theater troupe from Rialto’s past. .A shadow box will be made for the display of this historic item, along with a picture of the Red Brick Players’ Can-Can dancers. Please consider making a generous donation to FACT- Rialto Theater. Your contribution of $200 or more will qualify for a Colorado State tax credit of 25%, and it will really help us complete the Rialto Theater Renovation project. King Soopers/City Market card holders can donate to FACT (Florence Architectural and Cultural Traditions- AKA Rialto Theater). Just call the number on the back of your card and select “Community Care”. You will then receive instructions on how to select FACT to receive your community percentage. If you shop on Amazon, please go to www.smile.amazon.com and sign up for a small piece of your purchases to go to FACT- Rialto Theater. 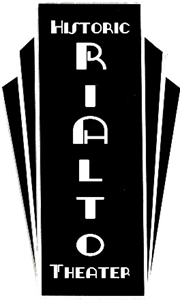 Please consider becoming a “Friend of the Rialto”. For a minimum of $200 a year, or as little as $20 a month, you will become a Friend of the Rialto. This can be a recurring annual donation or an automatic monthly withdrawal from your checking or savings account. As always, thanks so much for being an important part of the historic Rialto Theater!